Come see us at NEAF 2019 (NorthEast Astronomy Forum), Apr. 6th & 7th, at Rockland Community College in Suffern, NY. 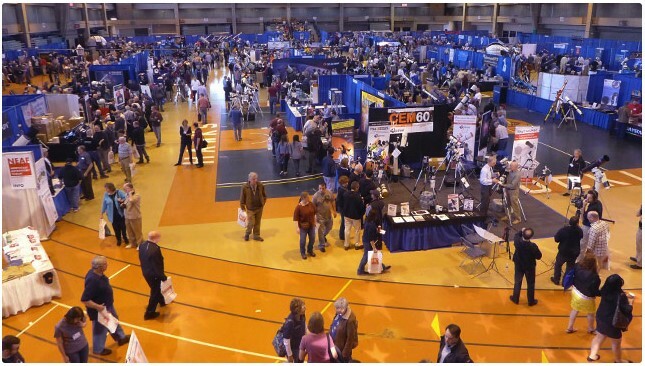 NEAF is the world’s largest astronomy & space expo! In past years, our booth has been pretty cramped with all the tripods we need to bring. But this year, we expanded our exhibit space to 30′, so we can spread out and give visitors plenty of room to try out our new XL Series binocular telescopes mounted on our TR3 hardwood tripods, as well as the rest of the Oberwerk product line. We’ll also be showing our all-new TR3-matching maple parallelogram mount- the Oberwerk PM1!